Circle App – Boston-based fintech company Circle, has its sights on making a faster and better digital version of the U.S. dollar. The start-up company announced its new digital token that would be pegged to the US dollar yesterday at Consensus 2018. Circle also announced that it raised $100 million in their Series E round which was led by Bitmain. Bitmain is the world’s largest distributor of Bitcoin-mining products. In its earlier investment rounds, Circle received investments from other big-name companies such as Goldman Sachs Group and Baidu, making it one of the most well-funded blockchain start-ups on the market. The fintech company operates its peer-to-peer payment network using blockchain technology. Circle’s new USD coin is meant to solve a huge problem in the cryptocurrency market – Volatility. The USDC coin will be offered on its cryptocurrency exchange Poloniex. I’m sure you’re probably thinking – Don’t we already have Tether? Yes, technically this new digital coin made by Circle and Tether essentially do the same thing, but what makes them stand apart is their platforms. 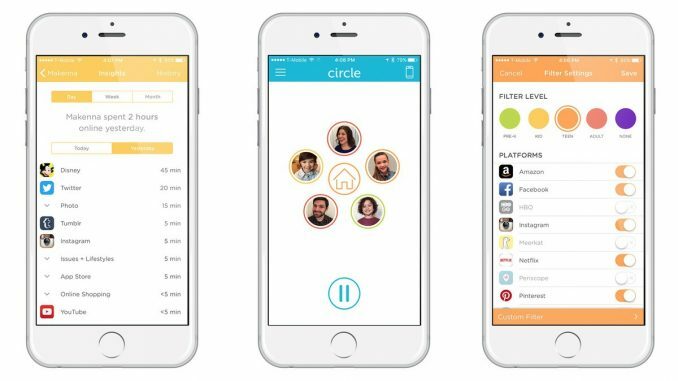 Circle is an app similar to Venmo and it doesn’t charge any fees to transfer money. Currently, Circle has 7 million users worldwide and is working rapidly to expand its reach to every major country around the world. Every USDC will be equally paired with an equal amount of fiat currency, which is held by a central custodian. Circle uses are then able to redeem their coins for the stable value denominated in fiat. This is something most cryptocurrency individuals find maddening about using cryptocurrency, as its value can dramatically drop in an instant. Currently, Circle is one of the leaders in over-the-counter bitcoin trading. This new USDC will make digital tokens that much more appealing to the masses.